One day everything’s fine, the next it’s all awful. Welcome to the 2018 stock market. 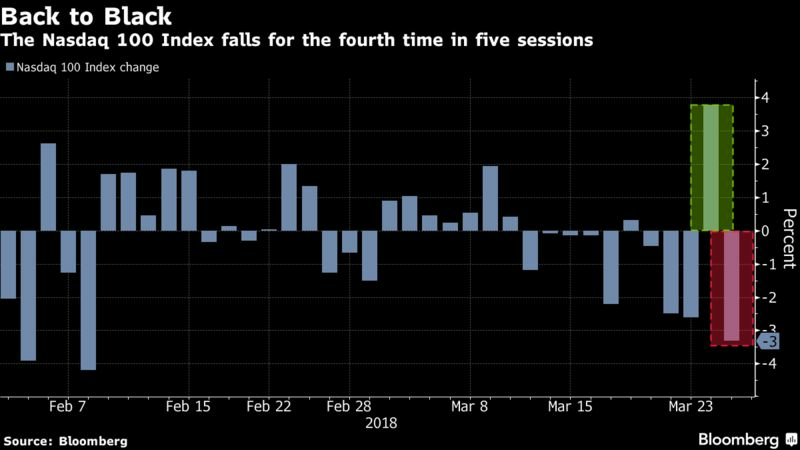 Tuesday’s chapter, Falling Fangs, saw losses in the biggest technology companies send the Nasdaq 100 Index down 3.3 percent, the biggest retreat in more than six months. Bad news from Tesla Inc. and Nvidia Corp. helped stir the pot. 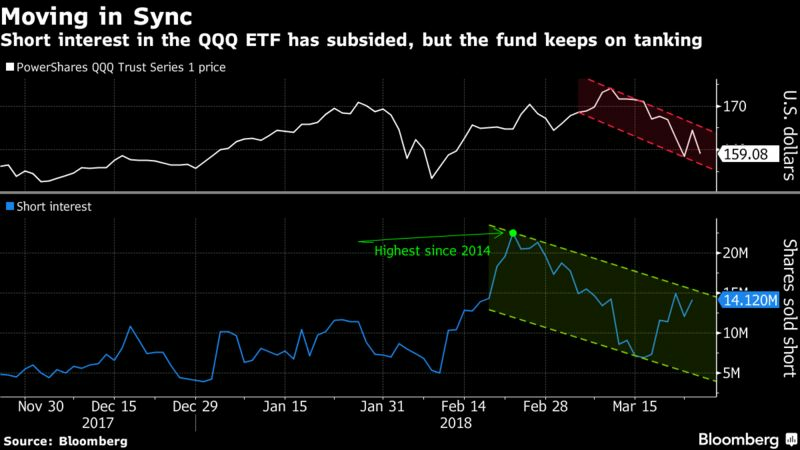 Concern continues to crop up over whether the S&P 500 Index’s biggest industry can earn enough to support valuations that are a third higher than those of the broader market. 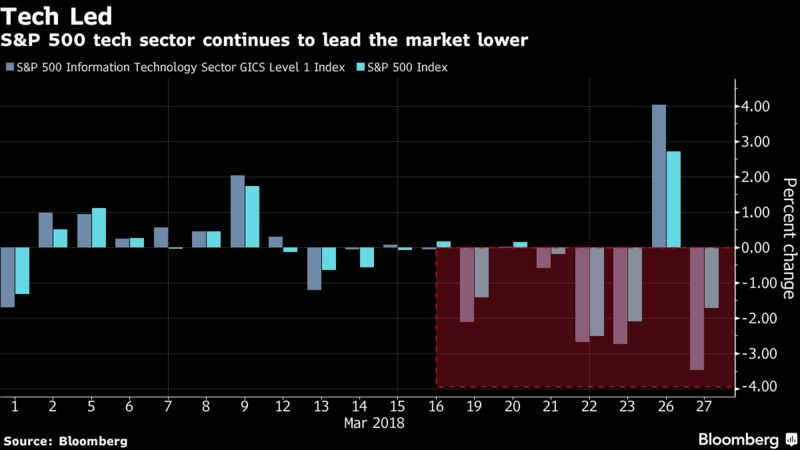 The S&P 500 Information Technology Index slid 3.5 percent to lead the market lower. 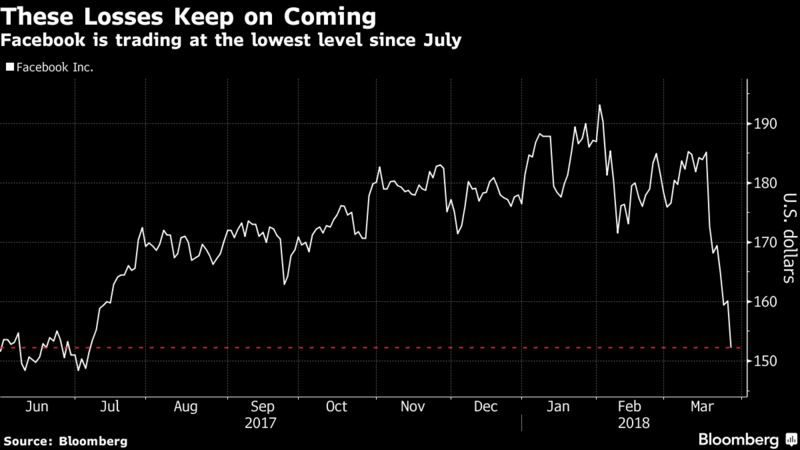 Tesla retreated to the lowest since March after analysts questioned the electric-car maker’s ability to reach its production targets for the Model 3 sedan. Nvidia sank for the fourth time in five days after it temporarily suspended its self-driving vehicle testing.